Environmentally Friendly Engine: The optimized combustion diesel engine is environmentally friendly and meets or exceeds EPA, CARB, and EEC regulations. 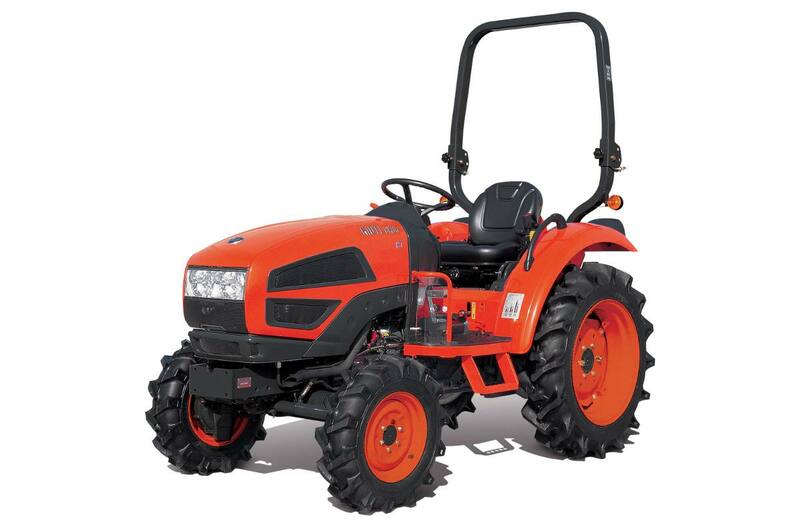 It supplies a large output, offers low fuel consumption, excellent balance system, greater durability, and creates less noise and low vibration. High Capacity Hydraulic Pump: The high capacity, efficient tandem hydraulic pump gives you smoother handling in heavy duty working conditions and helps to reduce the fatigue of the user. Rear PTO: Rear PTO is standard on the CK35. A mid PTO is optional. You can select the rear or mid PTO separately or simultaneously. 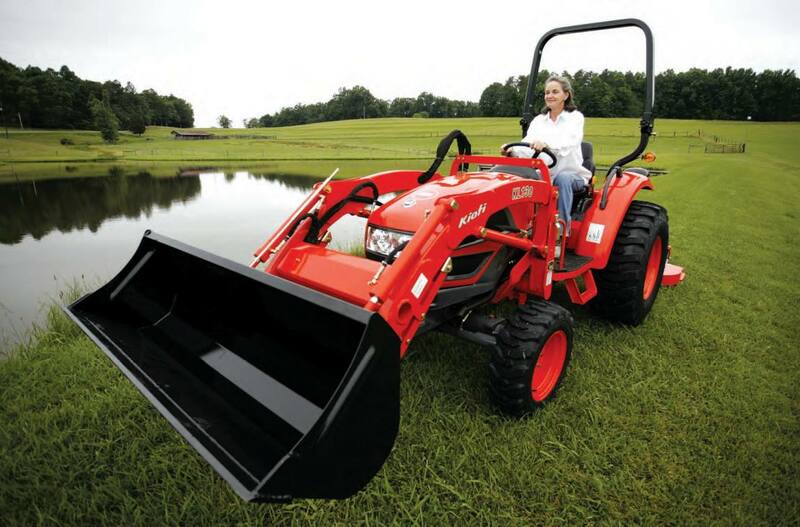 This allows the use of various implements, including a mid-mount mower. MMLS Valve: The MLS value allows the user to control the speed of the 3-point lift arms, thus decreasing the impact and increasing the operational efficiency. 3 Point Hitch: With an adjustable right side lift rod and top link, you can easily attach implements. Parking Brake and Cruise Control: Conveniently located parking brake (red lever) and cruise control (yellow lever) levers are in easy reach of the operator. Cruise control is only available on the CK35 HST model. Engine Throttle: The operator can control engine throttle with either the conveniently located hand lever or the foot accelerator pedal. 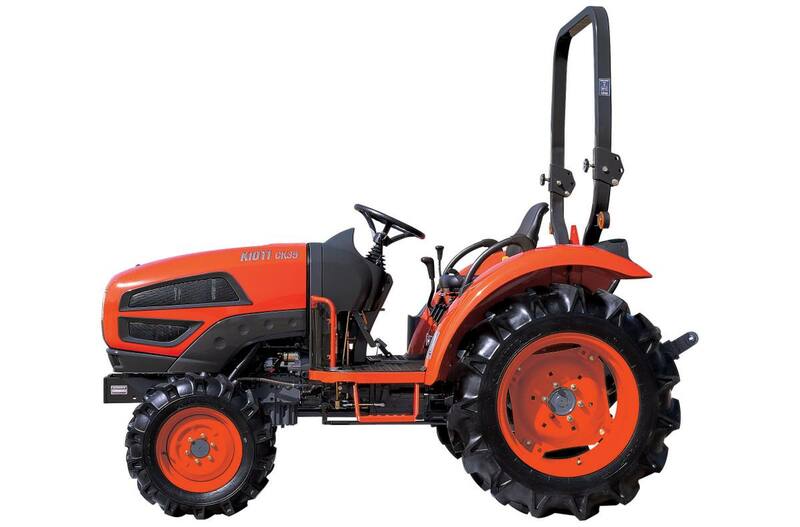 The foot accelerator pedal is only available on the CK35 gear tractor. Range Selector: The CK35 offers a high and low range setting for the transmission which is easily reached by the operator. 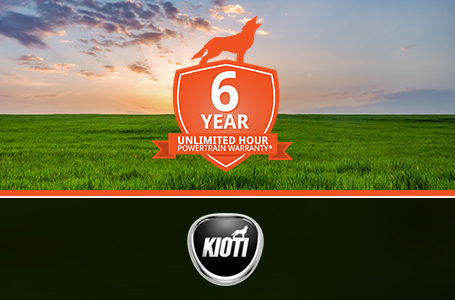 Position Control Lever: KIOTI's position control lever provides for the smooth operation of the 3-point hitch. It is designed to allow for an infinite number of position heights and comes with a convenient stop for applications that require a fixed lift point. Flip-up PTO Cover: The PTO safety shield helps protect the operator from PTO driven implements.